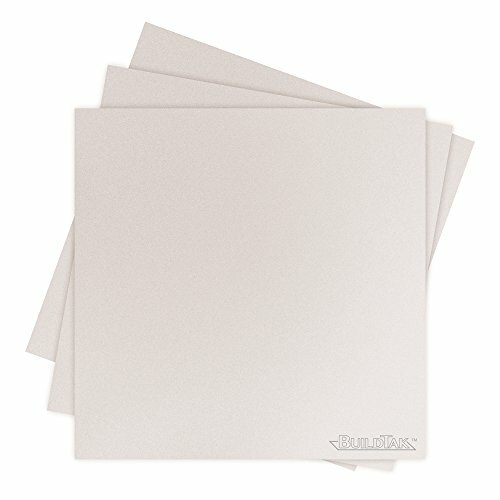 BuildTak is a thin, durable plastic sheet that adheres to the print bed of FFF (fused filament fabrication) 3D printers to provide an ideal surface for 3D printing. It replaces the need for blue masking tape and/or polyimide films such as Kapton. Composed of high quality, heat-resistant raw materials, BuildTak provides a stable build platform for 3D printed objects to adhere to while allowing for a clean, easy removal of completed builds. Creates an optimal bond between the 3D printed object and build surface that maximizes the chances your object will be held in place for the duration of the print and then allow for clean and easy removal of the object from the build surface. View More In 3D Printer Platforms. If you have any questions about this product by BuildTak, contact us by completing and submitting the form below. If you are looking for a specif part number, please include it with your message.